Why didn't Francis Jeffers fulfil his undoubted potential? Why didn’t Francis Jeffers fulfil his undoubted potential? There was a time towards the turn on the Millennium that clubs in Britain, and indeed the England national team, were crying out for a poacher. The now almost forgotten art of being in the right place at the right time was a much sought-after trait during that period and finding someone with the eye for goal was not easy to come by. With clubs looking to plug the gap, one man soon found himself as the frontrunner to answer the call. That man was Francis Jeffers. Sadly for Jeffers, however, a career that promised so much subsequently went out with not so much of a bang as a mere, almost silent, fizzle. Yet it started so well. The Liverpudlian forward came through the ranks at Everton at the latter end of the 1990s and made his Toffees debut at just 16, coming off the bench at half-time on Boxing Day 1997 against Manchester United at Old Trafford. Whilst it would prove to be his only appearance in an Everton shirt during the 1997/98 season, there was a buzz growing around the player across Merseyside – something only matched some years later by the emergence of Wayne Rooney. The next season would see him enter the fold more often. Wearing the number 34 shirt, Jeffers started to make his mark on the first team and bagged his first goal for the club in a 2-1 FA Cup victory over Coventry City at Goodison Park on 13 February 1999. Two weeks later, he’d notch his first Premier League goal in a 1-1 draw with Wimbledon. Jeffers’ stock was on the rise. Over the remainder of the season he’d score a further five goals, taking his tally to seven in 17. He’d follow it up with another six in 28 the season after, where he formed a potent partnership with former Arsenal and Nottingham Forest frontman Kevin Campbell. His form had also gotten him into the youth folds of the England set-up, whose coaches, quite rightly, were getting excited by Jeffers’ emerging talents. At under-21 level, Jeffers would continue to show his pedigree with 13 goals in 16 games; a feat that saw him equal the record set by Premier League all-time leading goalscorer, Alan Shearer. However, despite all the promise, the first signs of his future troubles would begin to show. 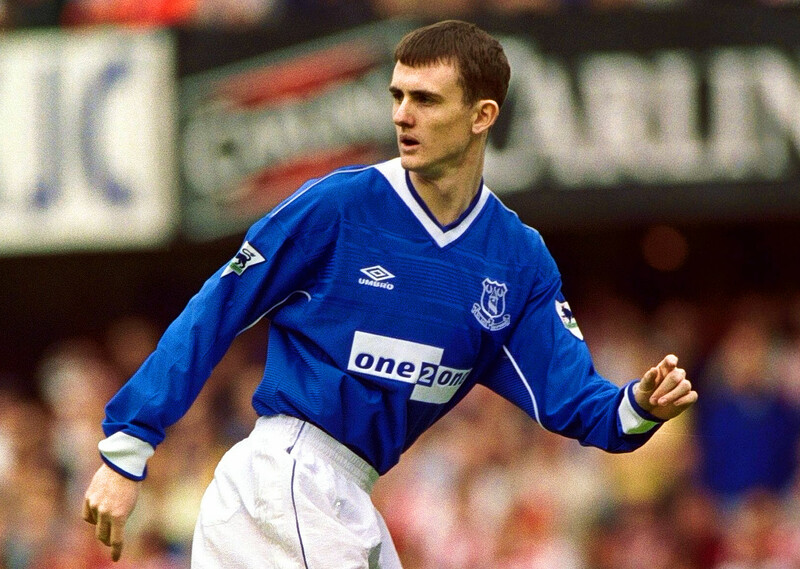 Jeffers’ season was not only hampered by injury but also by trying to instigate a move away from Goodison Park. In August 1999, he handed in an ill-advised transfer request that prompted manager Walter Smith to tell him to “get out of my office before I kill you”. An almost defiant Jeffers would make a prolific start to 2000/01 season. In the opening five games he’d as many goals, including a brace in a 2-1 win over Middlesbrough on 9 September. Soon after, however, the first in a series of niggling ankle and shoulder injuries would curtail his progress and he’d only add one more league goal to his name that season, in a February 2001 win over Leicester. It would prove to be his last league goal for the club. It had been a season of frustration for the young forward but one, on paper, that still showed a great deal of promise with the right guidance. Despite being restricted to just 12 first team league appearances, clubs had taken notice of his one-in-two goal ratio. Managers noticed how he naturally found himself at home around the goalmouth and lauded him as a possible future England star. After all, he was a young, hungry striker who, had he not been injured, could have had 20 plus goals to his name that season. The team to take a punt were Premier League highflyer’s Arsenal. At a time when Arsenal were not regularly in the market for English talent, it was a shock move for the club to spend a relatively big initial £8m payment on a young English striker. Considering Arsenal had only paid around £11m for World Cup winner Thierry Henry some two years earlier, it showed the respect and expectation the club had for the young centre-forward. The move saw Jeffers go from a relatively regular face in the starting line-up at Everton to a regular spectator from the bench at Arsenal. Despite his price tag, he was now down the pecking order behind the likes of Henry, Dennis Bergkamp Sylvain Wiltord and Nwankwo Kanu. To make matters worse, his injuries didn’t show any signs of letting up either. In his first season at Arsenal, Jeffers made only six league appearances scoring just two goals; not even enough at the time to claim a Premier League winners medal with his new teammates. In fact, Jeffers role as spectator would see him on the bench as an unused substitute on the day Arsenal clinched the title against Manchester United at Old Trafford. Whilst joining in the celebrations, Jeffers failed to get a medal put around his neck. 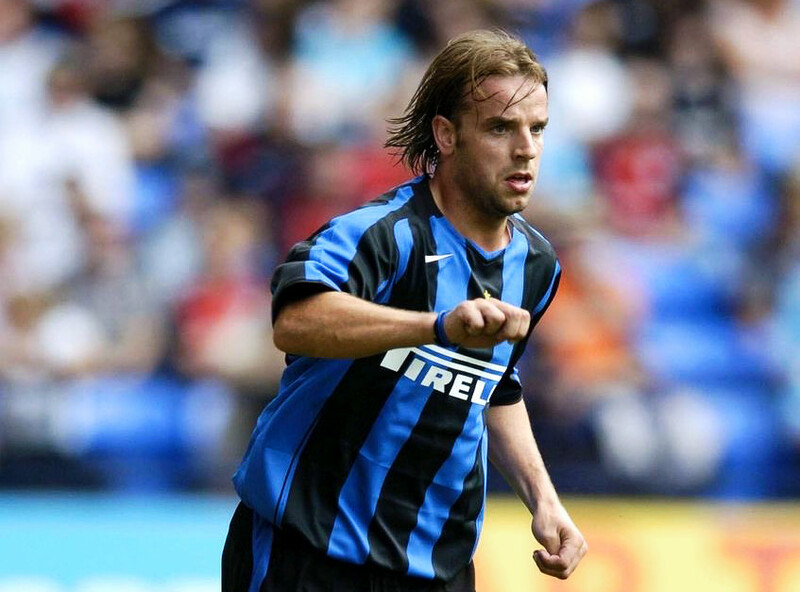 His best season at the club would come the following year when, over 2002/03, he’d make 28 appearances across all competitions and be a regular starter for the club in its cup commitments. He also caught the eye of England manager Sven-Göran Eriksson who, in his policy of handing England debuts out to almost anyone with British passport, called up the forward for a friendly against Australia in February 2003, where he’d become one of only a handful of players to score one England goal in as many appearances for his nation. Despite the international recognition, over the season, his lack of game time and goals started to cast doubts over his suitability to lead the line at a top club. In 22 league appearances in two years for Arsenal, he’d only netted four times. To compound his misery, in the curtain-raiser for the season, the 2003 Community Shield, Jeffers lasted a total of 12 minutes after coming on for Bergkamp, seeing red for kicking out at Phil Neville. It was now clear that Jeffers’ time was all but up at Highbury. His escape route was to make a loan move back to his former club Everton – now managed by David Moyes – as he looked to get games under his belt, start to recover his form, and answer some of his critics. “This is his chance to put right the things that many people have said about him,” stated Moyes soon after catching the 22-year-old forward, before seeing him fail to find the net in any of the 18 league appearances he’d make for the club during the 2003/04 season. The fox in the box was struggling to tread water in a relentless division. A final throw of the dice for Jeffers would see him move across London ahead of the 2004/05 season by joining Alan Curbishley’s Charlton Athletic. Still only 23, Jeffers’ early promise would once again give way to further disappointment. A brace in the club’s third game of the season – a 3-1 win at the Valley against Aston Villa – would remind the league of the Francis Jeffers it had seen during his first spell with Everton, but one goal in the remainder of the campaign would showcase the Jeffers Arsenal fans had quickly fallen out of love with. Avenues in England were closing fast, and Jeffers would have to find temporary refuge north of the border with Scottish giants Rangers ahead of the 2005/06 season. If successful, he wouldn’t be the first English misfit to find form in Scotland, and it was hoped by Rangers manager Alex McLeish that he could coach the best out of the misfiring striker. By December 2005, Jeffers was sent packing back to the Valley having failed to score a single goal in his 14 outings. Jeffers had undeniable talent but was struggling to make an impression on any team still willing to take a punt on him. Then, in 2006, he was given a surprise last chance to shine in the Premier League. Blackburn picked up the 25-year-old forward on a two-year deal with the option of a third from Charlton. It was a contract too good for the misfiring Jeffers to turn down. He scored his first and only Blackburn goal in the UEFA Cup against Basel but once again found himself down the pecking order and was soon shipped out on loan to Championship side Ipswich. The loan would prove to be one of the few positives Jeffers could take at the time. On his debut against Hull, he managed to grab his first goal for the Tractor Boys as well as taking home the man of the match award. Injury, though, would again disrupt his loan but he returned to the Ipswich first-team after recovering from a hamstring strain and managed to bag four goals in nine matches. Instead, Jeffers made a move north and signed a three-year contract with Sheffield Wednesday ahead of the 2007/08 campaign. Injury and poor form would blight his time at Hillsborough. His first season was restricted to just 12 appearances and two goals, and he’d go on to make just 60 appearances in all competitions over the course of his three years in Sheffield, scoring a mere five goals along the way. His time in England was drawing to a close. Having failed trails at both Blackpool and former employers Everton, the chance to go to Australia presented itself. It was the final nail in his career’s coffin at the very top. The A-League was – and to some extent still is – seen as a retirement home for ageing players. 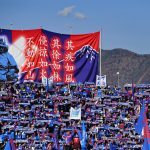 Unable to offer the financial incentives of the likes of Major League Soccer, it has attracted numerous former stars to its shores in the autumns of their playing days, from Emile Heskey to Alessandro Del Piero. While the aforementioned were well into their late30s by the time they switched to the A-League, Jeffers was still 29, at what should have been the high-point of his playing days. Instead, he was signing a 10-game guest contract with Newcastle Jets in October 2010. Nine games and one goal later and the Australian adventure was over. ‘‘They are saying they want to keep me but the chat I had with the club today was disheartening,’’ Jeffers told the Newcastle Herald. 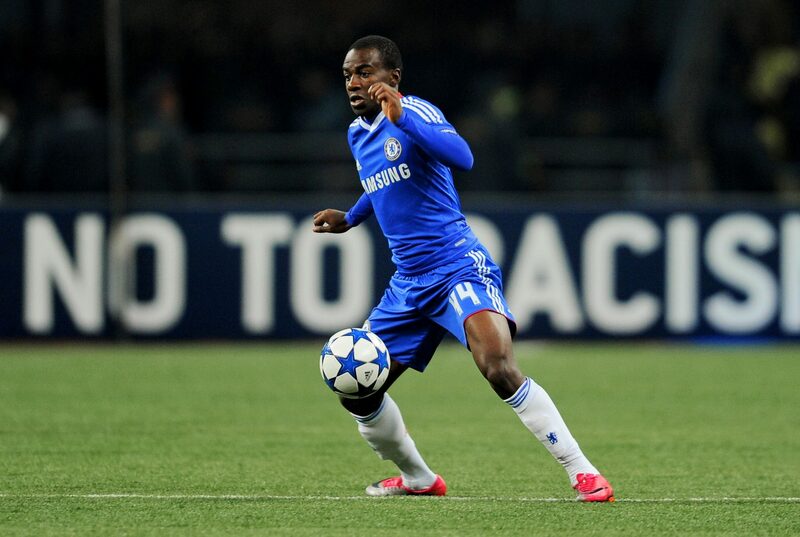 ‘‘I have enjoyed my time here. I told the club if everything was right I would love to stay but I don’t think that is going to happen. 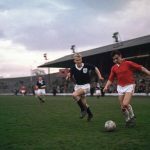 England would turn out to be Scotland and a second stab at the Scottish Premier League – this time with Motherwell – for the end of the 2010/11 season. He’d score his first SPL goal, some six years after he first played in the division, and managed to bag himself a Scottish Cup runners-up medal as Motherwell crashed to a 3-0 defeat to Celtic in the 2011 final, with Jeffers coming off the bench with 18 minutes remaining. Whilst his name didn’t carry the gravitas that it once did, it proved that across the world, clubs were still willing to take a gamble on a player who had regularly struggled to settle into a side. The Jets, however, like most of the clubs before them, failed to get a regular song out of Jeffers, who managed just a single goal during his season with the club. If it hadn’t been already, the Grim Reaper was now very much calling time on Jeffers’ footballing career. One final throw of the dice saw him take a move to Maltese club Floriana for the 2012/13 season, but after two games and a single goal, the club abandoned the forward as they discovered they couldn’t afford his wages. A brief return to England with League Two side Accrington Stanley – which prompted a bizarre incident that saw Jeffers on the wrong side of the law after he was caught brandishing a broomstick outside his father-in-law’s house – called time on his unremarkable playing days. Speaking in 2017, Jeffers carries regrets regarding his playing days and says that, in hindsight, he would have done things differently. “I didn’t fulfil my potential. That is a fact,” he admitted. “I don’t have to hide that. I should not have ended up with just one England cap, but for one reason or another … it is all different things. Myself, a bit of luck, wrong move at the wrong time, injuries. 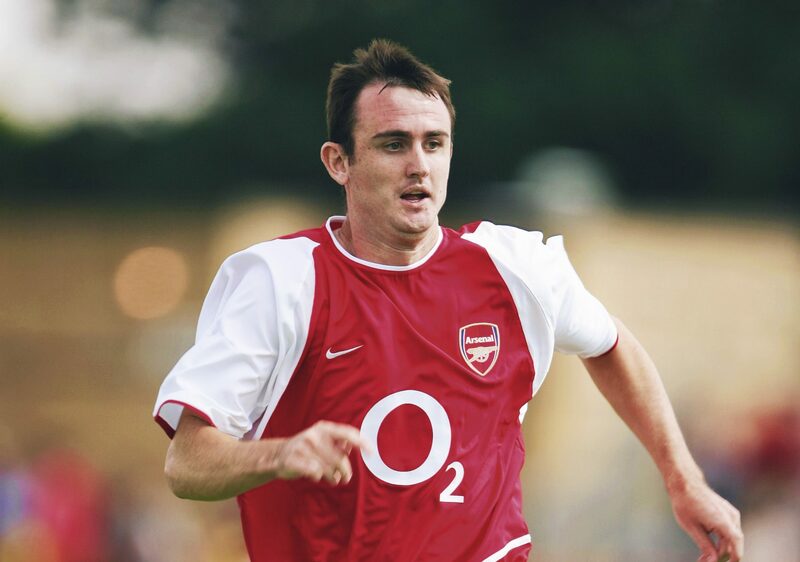 If ever a career personified ‘what could have been’, then it’s Francis Jeffers’. Now the 37-year-old he is trying to carve a career out of coaching having initially returned to Everton on a voluntary basis in 2014. Two years later, he joined the club’s coaching set-up permanently and is hoping to help young players avoid making the mistakes he did. With a sharp football mind, this may be the career in which he can truly fulfil his potential.